First of all, compare viewing something in SL with looking at a web page. 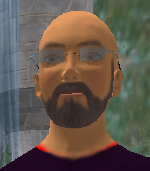 If you start exploring a location in SL (a library in Cybrary for example) and see another another users' avatar looking at the exhibits, it is only natural to strike up a conversation; exploring your common interests. In fact, it feels quite rude NOT to speak to someone if you are about to invade their personal space. Once you "meet" someone in SL, you are able to quickly pull up their profile to get an instant view of their interests and experience. So you are able to establish at a glance, whether or not this is someone you could easily relate to. Compare this to the more solitary pastime of browsing web pages..... you have no idea how many other people are looking at the pages you are reading. Even if you ARE given details of how many other people are visiting a particular web site, you have no idea who they are or what they are looking at. More fundamentally, you have no simple mechanism for striking up a conversation with them. Once you are in conversation, it is difficult for interlopers to "lurk" in the shadows. 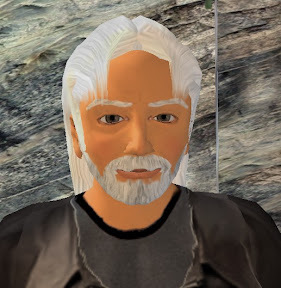 You are generally aware of other avatars within earshot, and are quite likely to bring them into the discussion. (though if you are keen to hold a private conversation with someone in SL, the answer is to stick to Instant Messaging to ensure that you are not overheard).